This package contains the HP Wireless Assistant for the supported notebook models and operating systems. 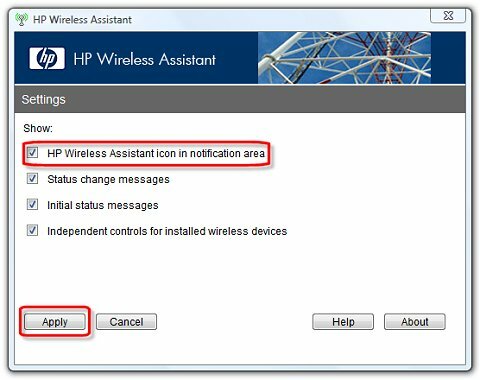 The HP Wireless Assistant is a user application that shows the status of individual wireless devices (such as Bluetooth, WLAN, or WWAN devices). This package contains the HP Wireless Assistant for the supported notebook models and operating systems. 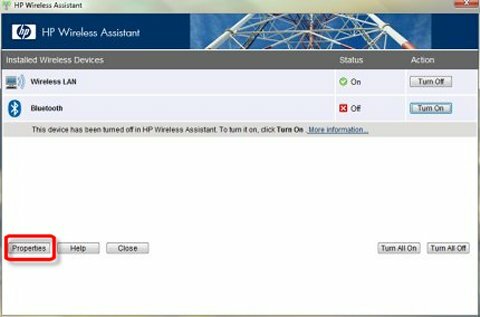 The HP Wireless Assistant is a user application that shows the status of individual wireless devices (such as Bluetooth, WLAN, or WWAN devices) and that provides the ability to control the radios for these wireless devices.